Situated amongst the beautifully landscaped West Yorkshire Pennines, Titanic Spa resides in a country mill Titanic Spa, Huddersfield that has been cleverly converted into an eco-friendly spa with room to spare for 30 luxury apartments – larger than the average one-bed flat in London. 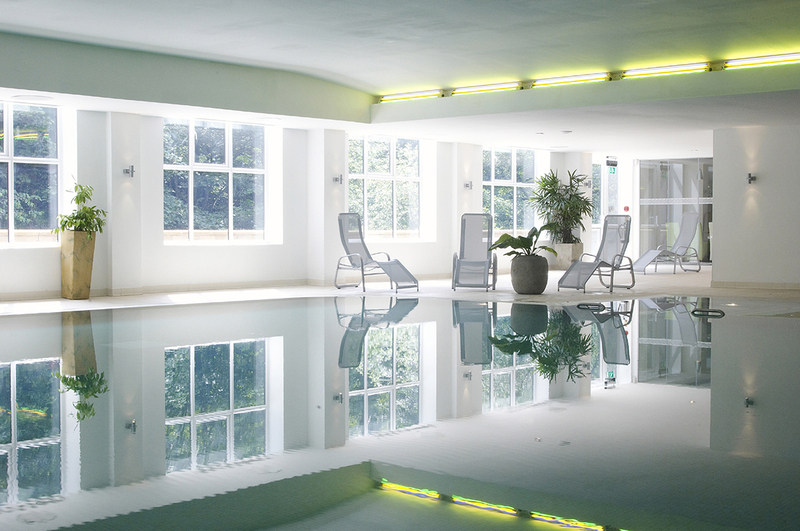 There are a number of overnight packages to choose from that all include access to the gym, salt pool and hydrozone, and a two course evening meal, which if you so choose, you can dine in your dressing gown. All the pampering heroes are on the treatment menu from Decléor, Elemis and Cartier, however all the Titanic Organic Body treatments use Neom Organic, which ties into the spa’s ethos for tailoring therapies that work in synergy with the skin, body and mind. The Heat & Ice Experience is also a must-do and is available to all spa users. Here you enter different sensory climates that include a crystal steam bath, plunge pool, saunarium and ice room designed to heat and cool the body. Chances are you will leave feeling either invigorated or deeply relaxed, and if it’s the latter it’s worth taking a snooze in the relaxation room, laden with snug beanbags and loungers. You can make this spa trip anything you want. The deluxe apartments sleep up to eight guests making it ideal for a hen party, or the balconies facing the idyllic countryside views makes it the perfect lovers retreat. SPA PACKAGES: Time to indulge from £199 includes apartment, continental breakfast, evening meal and treatment of your choice. RECOMMENDED FOR: Hen parties or couples.